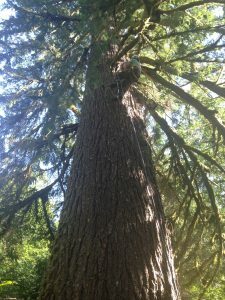 Removal of dying Hemlock tree next to house. 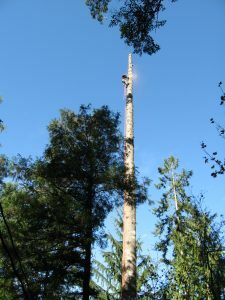 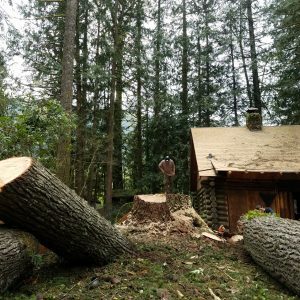 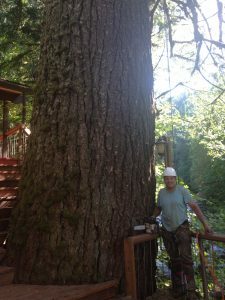 Simon Burke removing double trunk Fir tree uplifting foundation on Steiner Log Cabin in Rhododendron, OR. 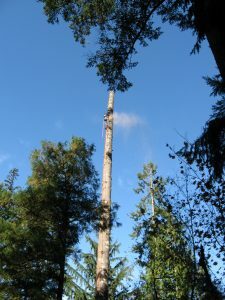 Simon removing large Fir tree next to Steiner Log Cabin in Rhododendron. 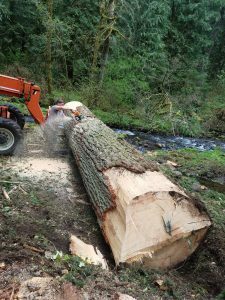 The cabin owner was going to have this Fir tree milled into lumber to use for repairs on his Steiner cabin. 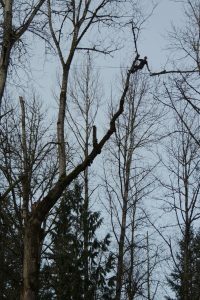 Simon removing large cottonwood tree at Metzler Park for Clackamas County. 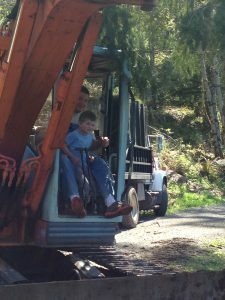 Click on link below to view video. 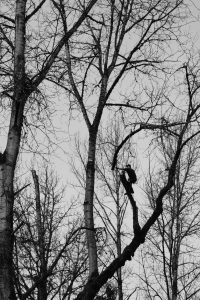 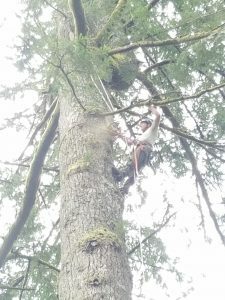 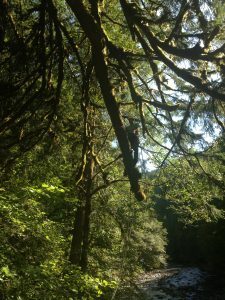 Simon pruning Old Growth Fir tree at home on Salmon River. 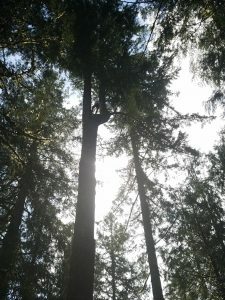 Beautiful tree! 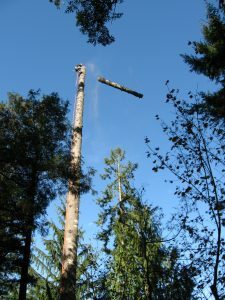 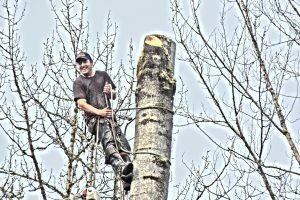 Format VideoPosted on May 18, 2016 May 19, 2016 Author AdministratorCategories Photos and VideosTags Simon removing tree., Video of Simon taking down Fir tree in deck.